in Calgary were those of Otl Aicher. In addition to categories, there were 31 pictograms broken down into three types. 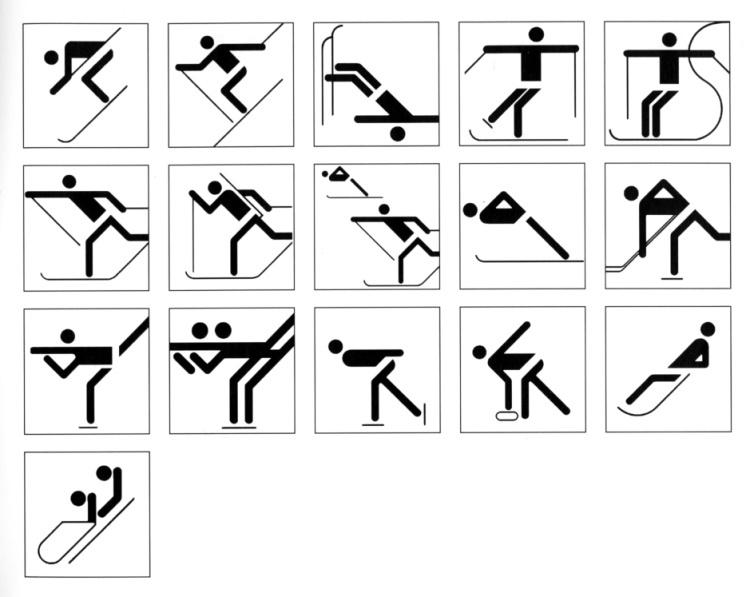 Sport pictograms were necessary as more than one sport could be performed at a given venue. Venue pictograms were designed utilizing letter codes representing the venue. 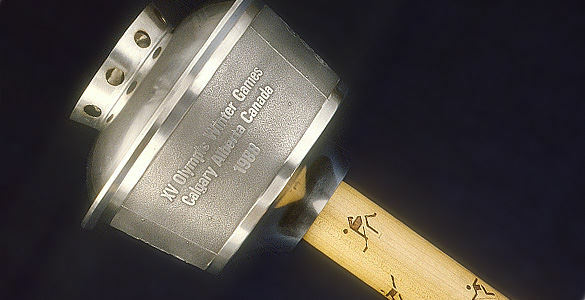 They were intended to identify which venues could be accessed regardless of the sport being performed at that venue. Special pictograms included one (OV) to identify residents of the Olympic villages; a pictogram combining access to both villages (V instead of UOV and COV); a pictogram combining all venues at Stampede Park (STP, combining SAD, COR, IBC and MPC); a pictogram allowing access to all venues (the mathematical infinity sign); a pictogram signifying access to all outdoor venues and a requirement for a seat pass (together with accreditation) for access to indoor venues.